The EMD SW9 was the fifth in the builder's SW series and once again Electro-Motive hit a home run. 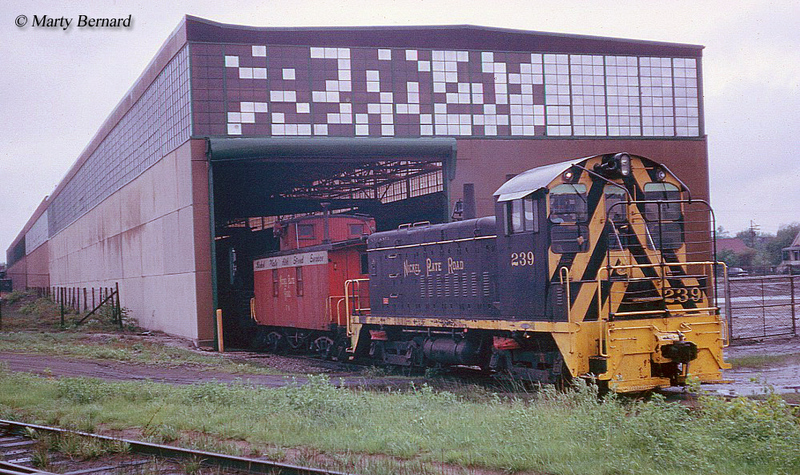 The switcher would go on to become one of EMD's most successful small switcher lines. Once again this model was virtually identical to others in the series up to that time including the SW8's 567B prime mover and a horsepower rating that exceeded 1,000. Apparently railroads liked EMD's higher-horsepower small switchers as they seemed to sell better. In any event, as with virtually every other small switcher model EMD produced, the SW9's reliability and versatility has become legendary with many remaining in operation on short lines, industrial settings, and excursion trains. To date there are four examples officially known to be preserved; U.S. Army #2015 and #2028 both at the South Carolina Railroad Museum, Conemaugh & Black Lick #121 at the Railroaders Memorial Museum in Altoona, and Atlantic Coast Line #685 at the Gold Coast Railroad Museum. 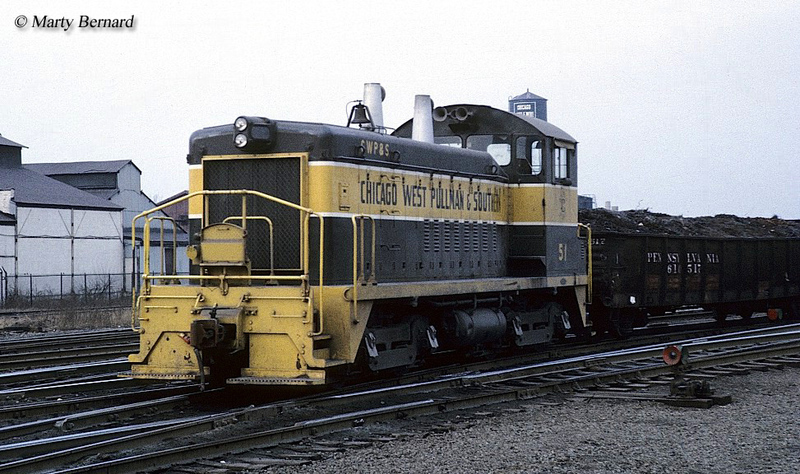 The EMD SW9 began production in December, 1950 and was built during the same time period as the SW8. The design carried the typical EMC/EMD carbody with a short hood, tapered towards the end-cab. A design that was common before the SW8, EMD went back to its standard two conical, exhaust stacks and the SW9 remained very short at just over 44-feet in length (up to this time EMD's switchers remained all the same length built from the same frame). EMD stepped up the weight on the SW9, back to 124-tons, which was the same weight as the SW7. The model used General Motors' model D37 traction motors and could produce a respectable 43,000 pounds of continuous tractive effort, and 62,000 pounds of starting effort, for a locomotive of its small size. Additionally, the EMD SW9 featured the tried and proven 567B prime mover (also used in the SW8), which produce a healthy 1,200 horsepower. Many roads tended to like the higher horsepower switcher models since they were more ideal for use in many different applications (such as the ability to pull heavier freight trains on light branch lines), which is a significant reason why small road-switchers like Alco's RS series sold so well (while the RS series was technically a road switcher, they were so light they could be used on branch lines and perform typical switcher duties while producing better than 1,000 horsepower). By the time the SW9 was cataloged EMD was fast becoming the dominant locomotive builder having just released the GP7 in 1949. 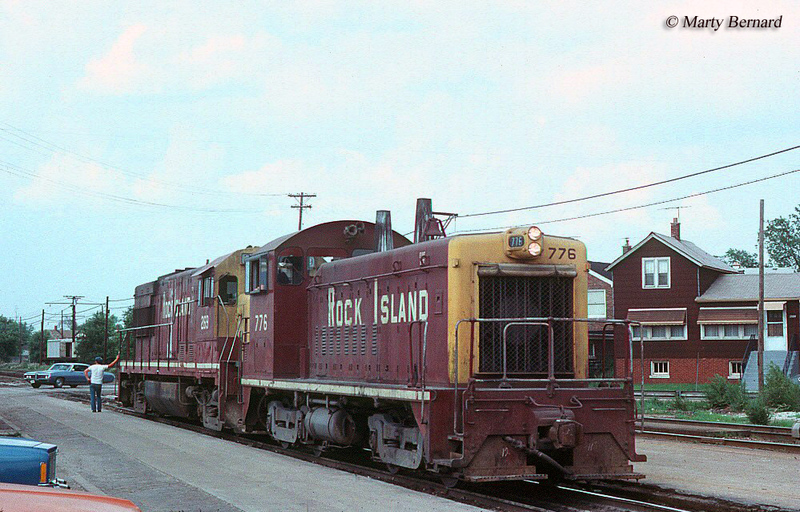 The EMD SW9 had a three year production period, through December 1953. By the end of its production the model had sold some 815 units (including those built by General Motors Diesel of Ontario, Canada, which sold 29 examples to the Canadian National, Canadian Pacific, C&O, Great Northern, Steel Company of Canada, and Toronto, Hamilton & Buffalo Railway) along with an additional 22 cow-calf TR5s (this sold only to Union Pacific and the Union Railroad). As with previous SW models the SW9 was well-liked for its versatility, reliability, ease of maintenance, and cheap price tag which allowed short lines and industries to purchase the model right along with the Class Is (the Atlantic Coast Line would come to own the most, 65). Because of this reliability and versatility SW9s continue to perform admirably in all types of settings from shortlines to excursion trains, more than a half-century since the last unit rolled out of LaGrange, Illinois and London, Ontario. Today, you can find examples in service with the Huntsville & Madison County, Simpson Railroad (the famed logging line), Independent Locomotive Service, Locomotive Specialists, Cenex Harvest States, Conrad Yelvington, Vandalia Railroad, Wimpey Minerals USA Inc., Juniata Valley, St. Louis Car Company, ArcelorMittal, Big South Fork Scenic Railway, York Railway, Baltimore & Annapolis, Coopersville & Marne, Tulsa & Sapulpa Union Railway, Lycoming Valley, and United States Steel.